CBC executive vice-president Heather Conway is leaving the public broadcaster after five years in charge of the corporation’s English-language TV, radio and digital services. 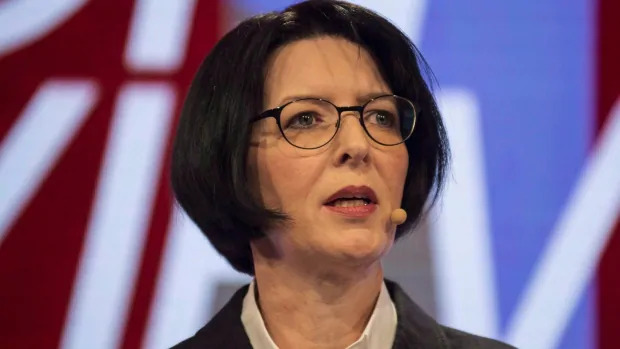 “It has been a privilege to serve Canadians and Canadian creators and to lead the incredible public broadcasters who work at CBC,” she said in a statement released Monday by the corporation. She will remain in her role until Dec. 7, after which she is leaving “to pursue other opportunities,” according to the statement. At CBC, Conway has championed women and underrepresented voices, Canadian creators and the expansion and strengthening of the public broadcaster’s digital presence. “Heather has been instrumental in spearheading CBC’s digital transformation on all of our platforms and across all genres, helping us meet our goal of doubling our digital reach, two years ahead of schedule,” said CBC president and chief executive officer Catherine Tait. “Conway has championed women and underrepresented voices” …. Translation: She has already purged the dreaded white male from the CBC, now the dreaded white female is on the way out. Soon, we will have nothing but visible minorities with unpronouncable names working at our taxpayer funded organization. The same organization that, as its mandate, is supposed to represent ALL people in Canada, not just certain “minorities du jour”. The summer network programming on CBC Radio One was unlistenable this year. Each guest that appeared on any show made sure to tell us how marginalized they were, how oppressed they were, and how awful their lives were because of Canadian oppression. Sheesh. This passes for radio? But it generates an audience. Not because its good, but because there’s no competition. And CBC Edmonton TV? Are they still broadcasting? Talk about an “old girls club”. Perhaps an affirmative action plan is needed to allow men of any colour to break through the iron gate at this station. City of Edmonton demographics still show that the region is comprised of 50% men. CBC Edmonton TV has 90% Women as its on-air personalities. Shameful. If anybody was watching, I’m sure that somebody would notice?